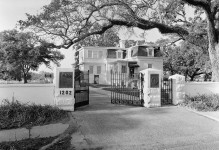 Before the Battle of Mobile Bay, the city of Mobile had been under blockade for three years. Blockade runners attempted to penetrate the blockade and were often successful. 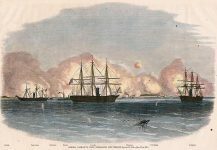 On August 5, 1864, Fort Morgan fell at the conclusion of one of the fiercest naval conflicts fought during the War of Secession. Fort Morgan was a masonry structure dating from 1834. The fort mounted 46 guns, of which 11 were rifled. Its garrison numbered about 600. CLICK TO BECOME A PATRON AND SUPPORT ALABAMA PIONEERS FOR $1 A MONTH! Across the main channel from Fort Morgan on Dauphin Island was Fort Gaines, containing 26 guns, and with a garrison of about 600. When Page was not present, command of the fort fell to Col. Charles D. Anderson. At the western end of the bay was Fort Powell, smallest of the three with 18 guns and about 140 men. 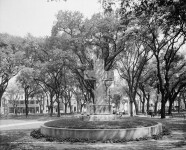 It was commanded in Page’s absence by Lt. Col. James M. Williams. Fort Powell was located on a shell island at Grant’s Pass in Mobile Bay. The fort was not complete but would mount 5 rifled guns, 5 field howitzers, and 2 long range guns. The emplacements were connected to the central magazine by tunnels. All three forts were flawed in that their guns were unprotected against fire from the rear; in addition, Forts Powell and Gaines lacked adequate traverses. Mobile and Mobile Bay were within the Department of Alabama, Mississippi and East Louisiana, led by Maj. Gen. Dabney H. Maury. Although Mobile was the site of department headquarters, Maury did not exercise immediate command of the forts at the entrance to the bay, and he was not present during the battle and ensuing siege. Local command was entrusted to Brig. Gen. Richard L. Page. 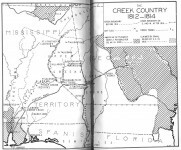 The primary contribution of the Confederate Army to the defense of Mobile Bay was the three forts. The raw numbers of troops available do not indicate how effectively they would fight. 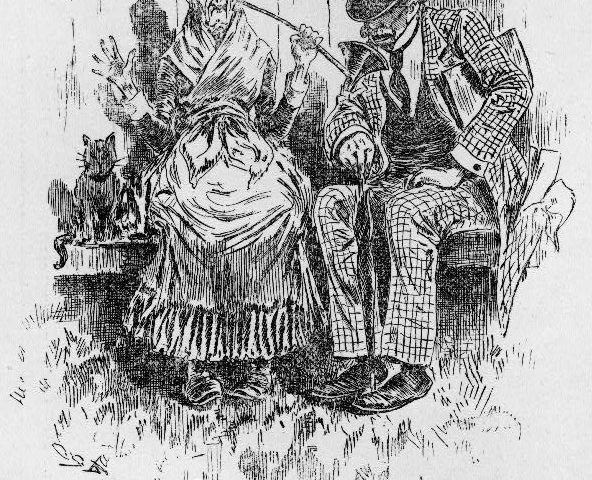 The war was already winding down, and assertions were made that the morale of the soldiers was bad. The judgment is hard to quantify, but it would explain at least in part the poor performance of the defenders. During the summer of 1864 reinforcements came in, and Admiral David Farragut was placed in command of the Gulf fleet. 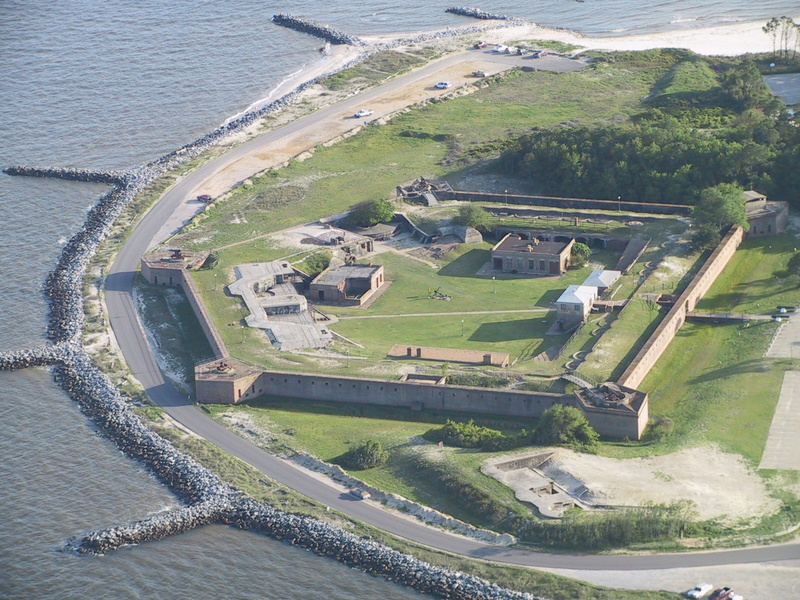 Fort Gaines was besieged on August 3 by a force of about 1,500 land troops. 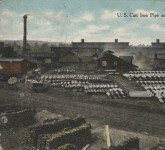 About daybreak on the morning of August 5, 4 iron-clad monitors and 14 steamers moved into the bay. The steamers were lashed two abreast. The Federal fleet consisted of the monitors, Tecumseh and Manhattan, each carrying two 15-inch guns, and the Winnebago and Chicasa, each carrying four 11-inch guns; and the steamers Hartford of twenty-eight guns; the Brooklyn twenty-six; the Octorara ten; Metacomet ten; Richmond twenty-four; Port Royal eight; Lackawanna fourteen; Seminole nine; Monongahela twelve; Kennebec five; Osippee thirteen; Itaska four; Oneida ten; Galena thirteen; a total of one hundred and ninety-nine guns, and twenty-seven hundred men. After sailing into the bay, they opened fire on both Forts Morgan and Gaines. The first monitor struck a torpedo, and almost immediately went down, only 10 of her crew of 130 being saved. 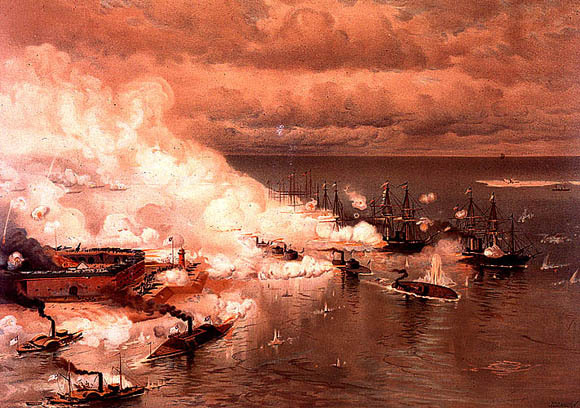 The Confederate fleet immediately gave battle. The larger number of the enemy vessels and their greater speed gave them a superior advantage. The Confederate Torpedo Bureau, directed by Maj. Gen. Gabriel J. Rains, contributed a passive weapon to the defense. Men of the bureau had planted 67 “torpedoes” (naval mines) across the entrance, leaving a gap on the eastern side of the channel so blockade runners and other friendly vessels could enter or leave the harbor. The minefield was well marked by buoys, which Farragut knew well. Its purpose was not necessarily to sink enemy vessels trying to enter, but rather to force them to steer close to Fort Morgan and its guns. The Confederate gun-boats Selma, Morgan and Gaines were soon put out of action. The Federal fleet, now well beyond the forts, were about to cast anchor four miles inside the bay Then it was the Tennessee, under Admiral Buchanan, and Capt. J. D. Johnston, engaged the entire enemy fleet alone. After two hours the flag of the Tennessee came down, after what Admiral Farragut characterizes as “one of the fiercest naval campaigns on record ” The Confederate losses were 10 killed and 16 wounded, on all the vessels. The Federal loss was 52 killed, 170 wounded, and the 120 that sank with the Tecumseh. The following video is a reenactment of this Battle in and around Fort Morgan in 2002. 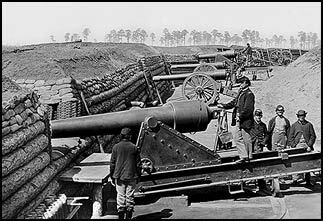 Fort Gaines could not withstand the land investment, and the attack of the fleet combined. and therefore on August 6, 1864, Col Charles D. Anderson, of the 21st Alabama Infantry Regiment, asked for terms but surrendered unconditionally two days afterward. Fort Powell on Cedar Point was abandoned by its garrison on August 5. 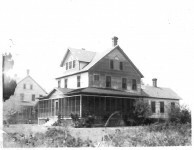 Two companies of the 21st Infantry Regiment were stationed at this fort; and withstood a bombardment of two weeks from five gunboats and six mortar boats which undertook to force Grant’s Pass, with a loss of only one killed. 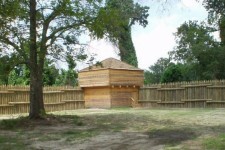 The following video was made by Steve Crutchfield in 2011 of Fort Gaines in Mobile, Alabama. For the full Mardi Gras Celebration schedule, dates, times, etc. check out the Mobile Mask website. Did you know the Revolutionary War was fought in Alabama? Great post! 2 of my great grandfathers fought at the Battle of Mobile. James Reynolds at Ft. Gaines (62nd Alabama infantry) and George Hamby at Ft. Morgan (1st Alabama Artillery). Both were captured and imprisoned at Ft. Massachusetts on Ship Island. This is good stuff. Mobile and the state could do so much more for our history and our contribution to American history. 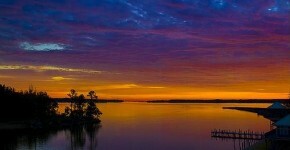 I would rebuild Cahaba, and set up riverboat cruises from Montgomery to Mobile with a stop there. 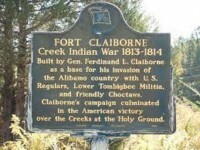 General Lafayette visited Cahaba in 1825 on a tour of the US. 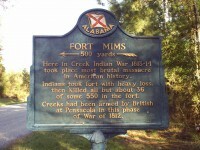 Fort Mims and Fort Toulouse should be brought up to snuff for history buffs and tourists. The only real Alabama historical site that has a thorough presentation of film, museum, dioramas, and battle combat is Horseshoe Bend, and it is under the auspices of the National Park people. Our legislature is historically ignorant, and does not fund our state historical people charged with the development of our sites. Even the Federal Road could be set up as well as the Natchez Trace. And it goes on and on. Half the covered bridges in the state have collapsed. We have allowed great unique buildings to be torn down. I despair. Our whole nation is losing its identity, and we are to blame, because we do not revere our past. This is a great site. I am learning so much. Mucho gracias. The forts not like it used to be, time has really taken a toll on it. 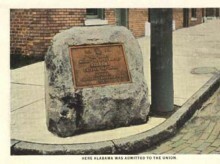 Still a great piece of history, even after the civil war. I’m glad you enjoyed the story.